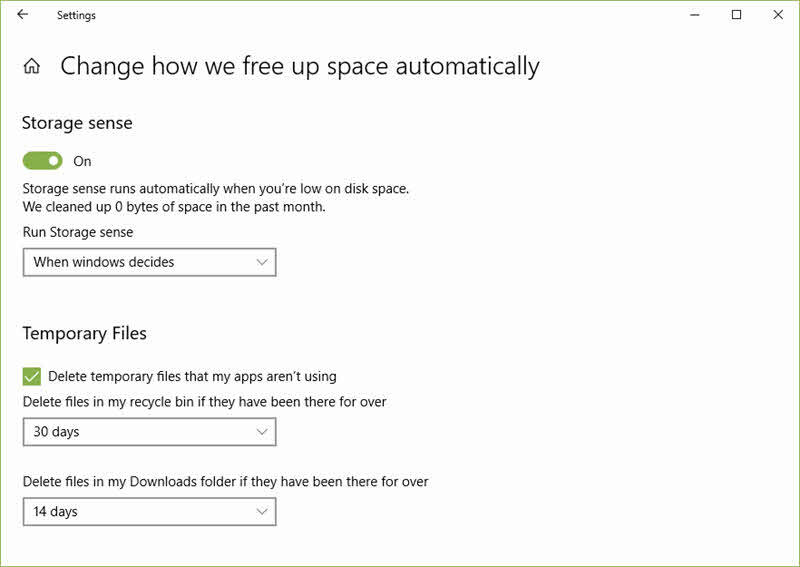 Storage Sense in Windows 10 runs automatically when you are low on disk space. 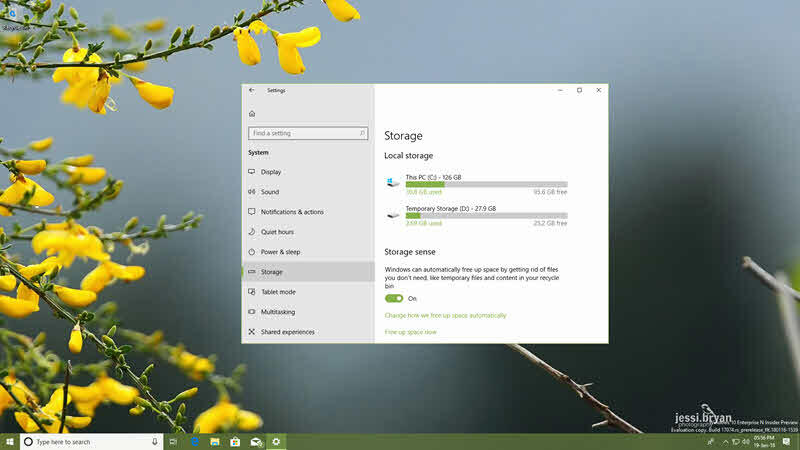 Now, with the next major update of Windows 10, you will be allowed to control how frequently the automatic disk cleanup will run and free up the unused space that you don't need. In this quick blog post, we will learn about this new change (with video demonstration), scheduled to release with the next major update early this year. If you are a Windows Insider, and running the preview build 17074 or higher, you will be able to control the automatic temporary files clean up settings. You can now configure how frequently the disk clean up process will execute to free up the space used by the unnecessary temporary files, recycle bin files and downloaded files. From the left-hand side navigation panel, click on Storage. From the right-hand side screen, click on the Change how we free up space automatically link. You can find this link under the Storage sense section. This will open up the Storage sense screen on the screen. Turn ON the storage sense to run automatically, when you are low on disk space. Just below that, you can choose the dropdown entry to select whether the Windows will decide when to run the disk clean up. You can also select to force the clean up process every day, every week or every month. If you want to delete the temporary files that your apps are not using, or would like to delete files from the Downloads folder, you can configure the time period after which the clean up process to delete the specified files starts. Hope, you liked the post, as well as the video demonstration shared above. Don't forget to check out my other blog posts on the new changes coming to Windows 10. Stay tuned here to this channel get the regular updates on the new posts that I share over here. If you are in Twitter, follow me @kunal2383 and say me a "Hello". If you have come this far, it means that you liked what you are reading (Windows 10 will now provide you more control over automatic temporary files clean up options).